Learn the basic principles of carving stone with hand tools. The techniques of direct stone carving that you will learn, include: initial roughing out, developing a form, final finishing and polishing. For safety please wear closed-toe shoes and bring disposable duct masks, safety glasses and gloves. Stone & tools will be provided. 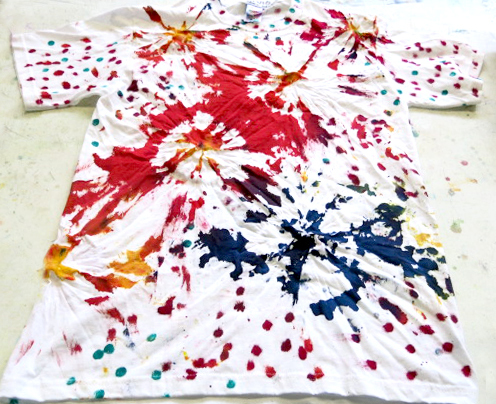 In this fun class you get to smash stuff up & put it back together in amazingly colorful ways. 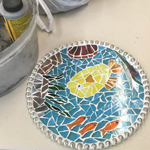 We will explore different ways mosaics are made & how to have fun with bits of broken tile, glass & cement. You will end up with treasures that will last for years. 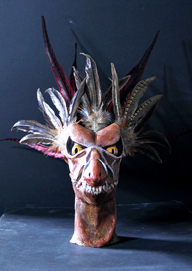 Time allowing, we will work on a class project that will be displayed at the ArtCenter . This class is for those who have always wanted to make a film or play with storytelling on video. This class will culminate in the creation of a short film – narrative or documentary, as chosen by the student. We will film using a smartphone or other recording equipment of their choice. 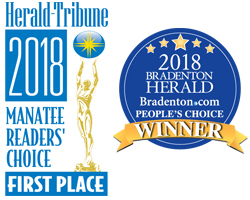 Students will learn the process to submit their films to festivals worldwide and the class’ work will be screened together at ArtCenter Manatee’s Annual Showcase. Students will also be introduced to films from around the world and learn the collaborative process of the art form through workshopping their scripts or concepts. 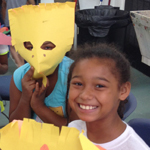 Come create with us! Come play in the mud with us! 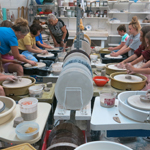 Learn as a beginner or hone skills on the potter’s wheel through demonstration and hands on instruction. 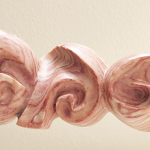 Also this week you will learn how to create with various tools (slab roller/extruder, e.g.) through hand building which has no limits on creativity! 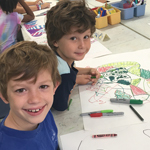 This popular class fills up fast! 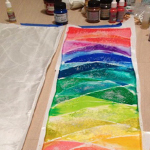 Learn the two-step process of silk painting, first creating the mermaid scale pattern, then tracing in a resist onto a silk scarf. 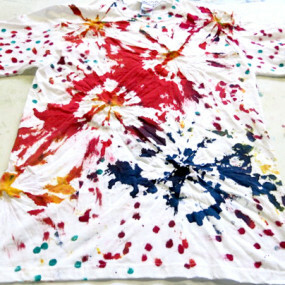 We’ll experiment with rock salt on the ink to create a watery change in the dyed areas, it is fun to watch a pattern emerge from salt absorbing excess ink. We will try some alcohol ink notecards as well. Photography should be FUN! We’ll go outdoors to stretch our imagination and get creative with all that’s around us. 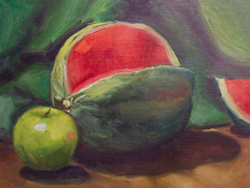 We’ll learn about perspective, composition, diffusing light & more. We’ll enjoy a tour of Riverwalk and all that it has to offer photographically. Let’s play with colors, shadows, blur and see who can come up with the most creative shot for a wonderful prize! If you have taken this class before, let’s get you to a greater level in your photography. 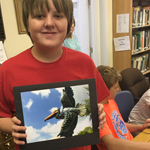 Each student will have one of their photos printed and proudly displayed in our exhibit. 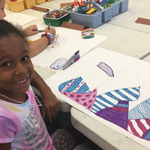 Students will begin the week designing with color and pattern and getting ideas on paper. We will begin making a simple beaded necklace with pattern and design being the focus. We’ll progress into a wrap style bracelet, designing the number of wraps and the color scheme to work in. We will review the lengths of cords and how the lengths yield certain size bracelets (number of wraps around the wrist) and beading with a bead needle and strong floss. We will end the week creating simple fish hook style earring. 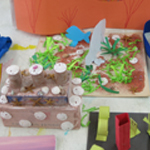 Students will leave with a folder of designs and ideas to continue the process long after class ends. 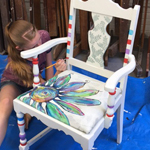 Each student will learn surface painting techniques, how to embellish, distress or bring a chair back to life. 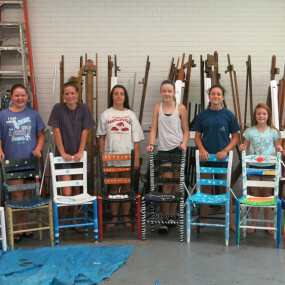 They will create a chair that they will treasure for years to come and learn skills you will use over and over again. 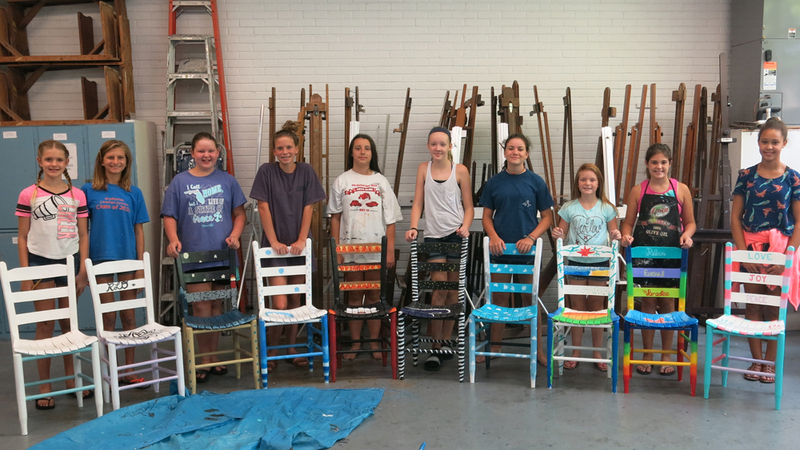 If you have a favorite wooden chair you would like to work on please bring or use one provided. 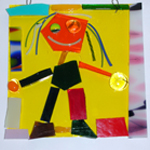 In this exciting class you will do projects such as cabochons for jewelry, fun faces, mosaic hanging picture, nugget flowers, fan pulls, suncatcher, nature printing on glass or a mirror. 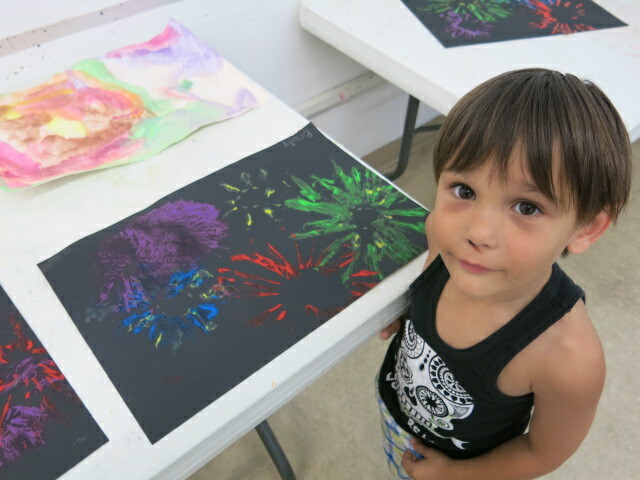 A fun week of creativity and treasures you will create! Spark your imagination a we embark on a class highlighting in-depth exploration of techniques & new ways to create unique 2D & 3D artwork. 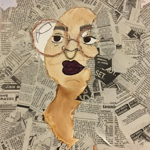 This class will focus on creating collage, drawing, painting, mixing, assemblage, cutting and pasting techniques on paper, or canvas board. 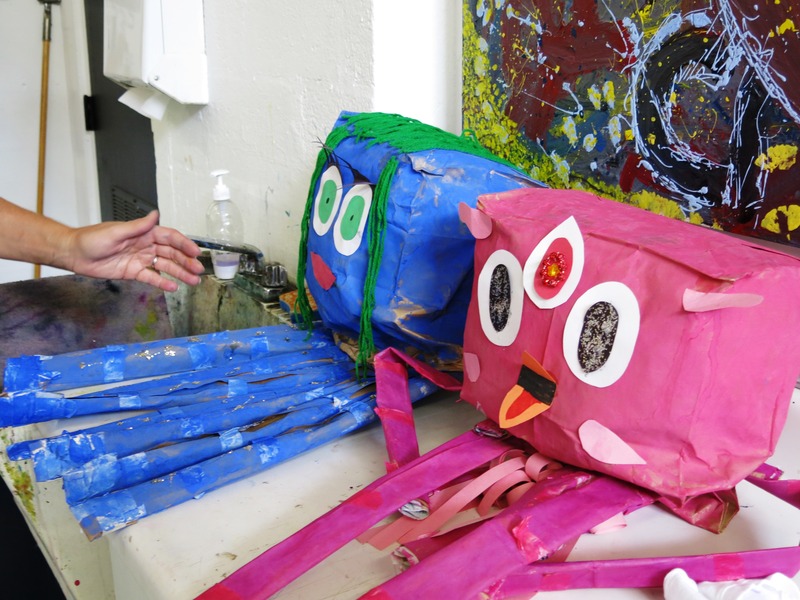 Students will create images by the application of a variety of mediums and materials. Whatever your level there will be lots to inspire you! Please add your child’s name to the “Student Name / Notes” on the checkout page. 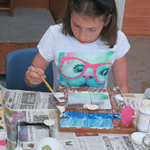 Landscape mural painting, paper mache’ trees, creepy insect collages, and clay birds. 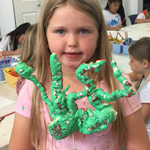 Animal prints, clay creatures, hanging reptile mobiles, and paper mache’ bears. 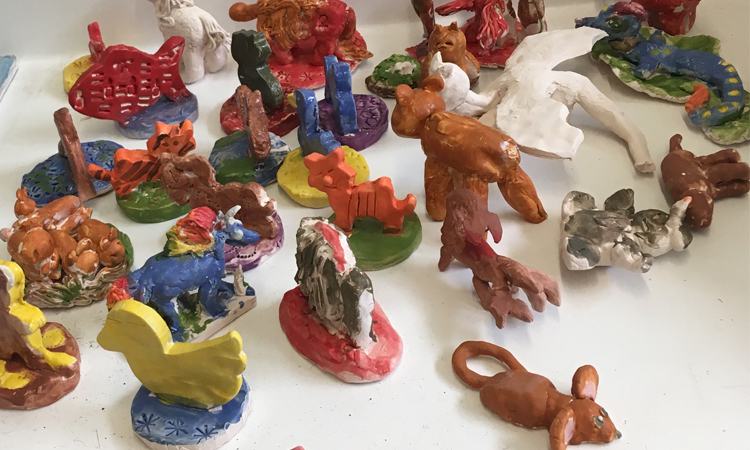 3D sculpture, Dali landscapes, useful clay containers, and still life paintings. 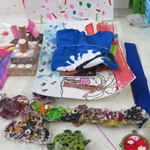 Tissue paper flowers, dream paintings, design a garden maze, and clay pots. 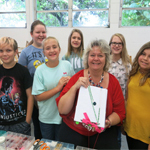 Box sculpture, found object art, jewelry making, and recycled assemblages. 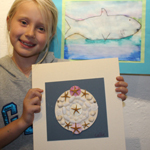 Watercolor paintings, shell sculptures, colorful fish prints, and sea monsters in clay. 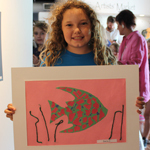 Make a splash, dive beneath the waves to explore the magic of water and get inspired by what’s under the sea. **Aftercare is $10 for each hour or portion of an hour and must be paid in advance. Children MUST BE picked up by 5pm. 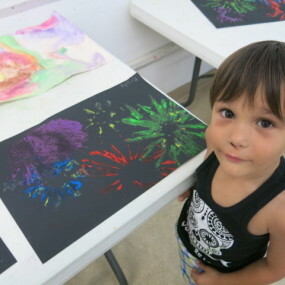 Nurture the young artist within! 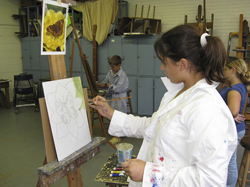 Students will be encouraged to explore the wonderful world of art by experimenting in numerous different mediums such as painting, printing and sculpting. They will be having fun so please dress your “sprout” for play! 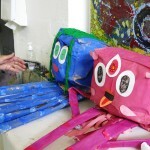 collage, colorful weavings, cloth animals, and more! Students will learn several methods of building in clay and glazing techniques. 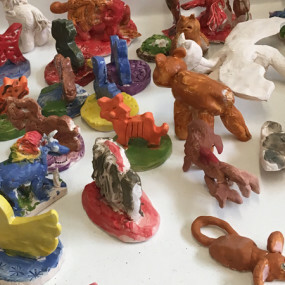 Special clay tools will help to inspire the student’s imagination. Animal forms and useful objects will be created. Come play in the clay!